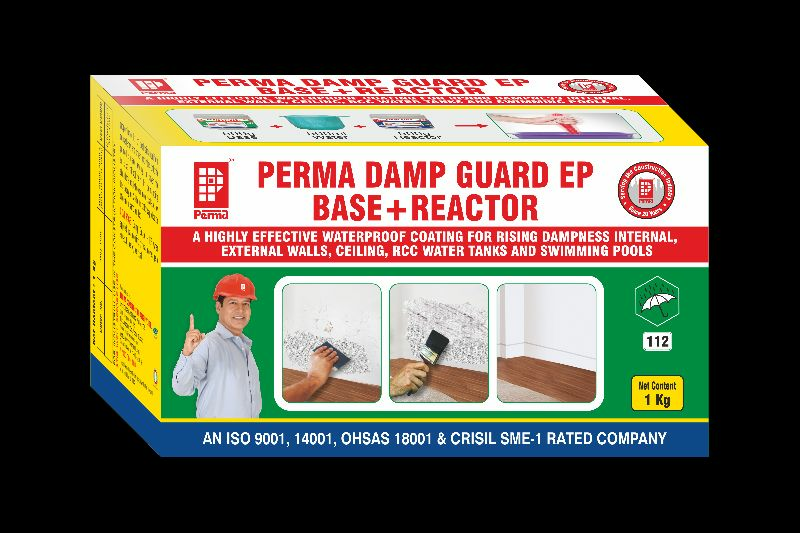 Perma Damp Guard - EP is a two component water based epoxy coating product highly useful in arresting leakages in walls, ceiling, RCC structures and rising dampness in internal walls. It is user friendly and easy to use. Based on water dispersible epoxy hence can be diluted and washed away with water. It is economical when compared with conventional epoxies. It is water based hence zero VOC and is environment friendly. The film formed is tough and has strong adhesion to all building materials. Packing : Perma Damp Guard - EP is available in 1 kg, 2 kg and 20 kg packing.